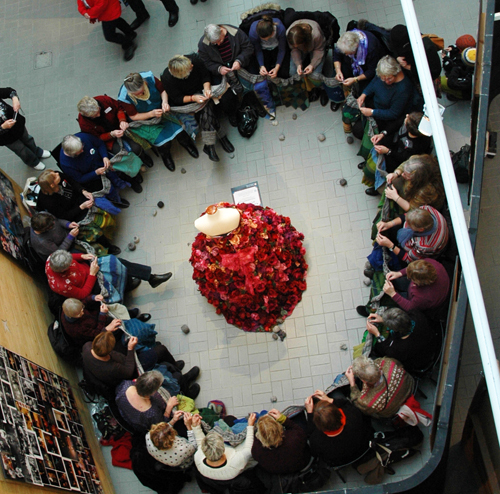 Uplift/Landhöjning a life sound performance with 24 knitters and cow horn. 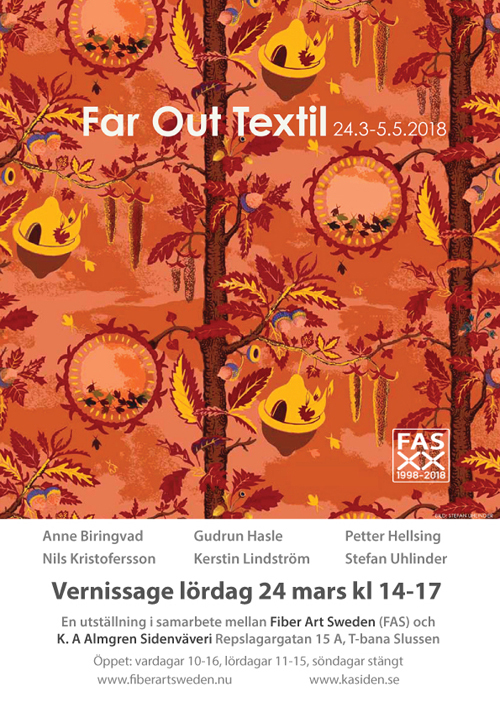 With Björn Eriksson http://www.fst.se/tonsattare/bjorn-eriksson and Anna Lindkvist Adolfsson http://www.annalindkvistadolfsson.se/ . 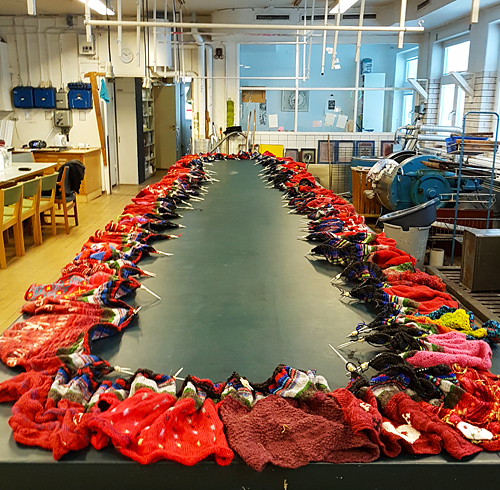 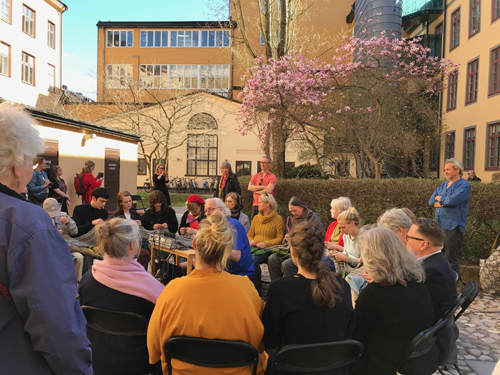 Thank you all knitters who participated this warm afternoon at Almgrens Silkmill in Stockholm 5th May 2018. 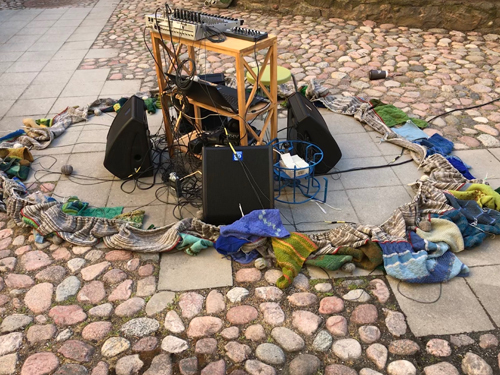 The performance was a part of the finissage for the nordic exhibition ”Far out Textil” at Almgrens. 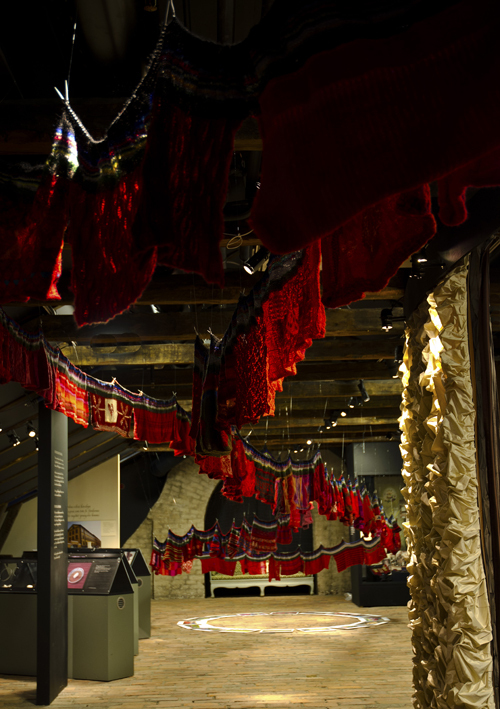 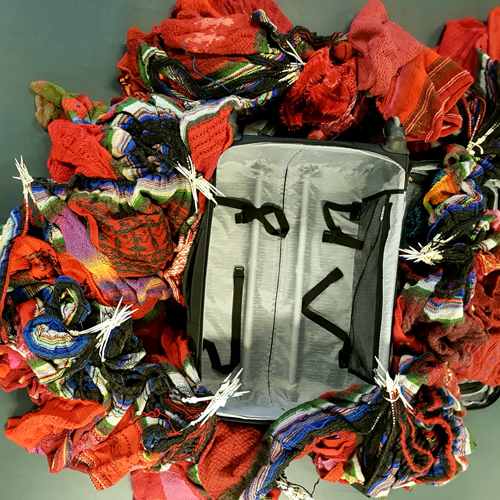 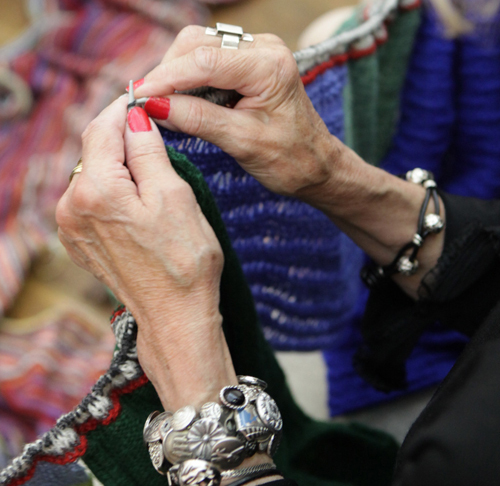 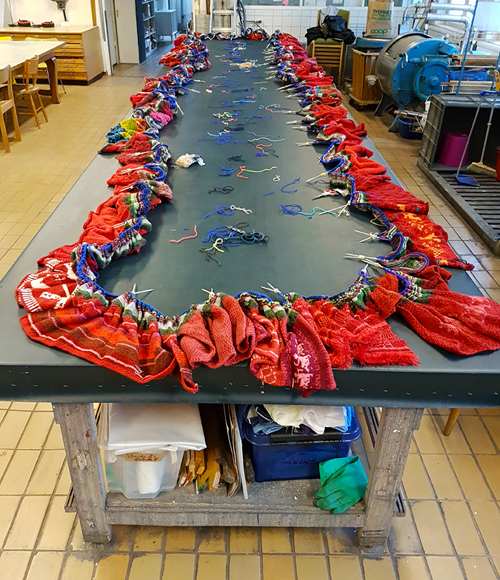 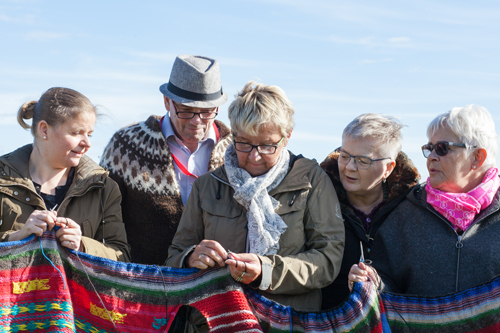 It ended a four-year long collaboration between Almgrens Silkmill and Fiber Art Sweden, ”Siden och Samtid”. 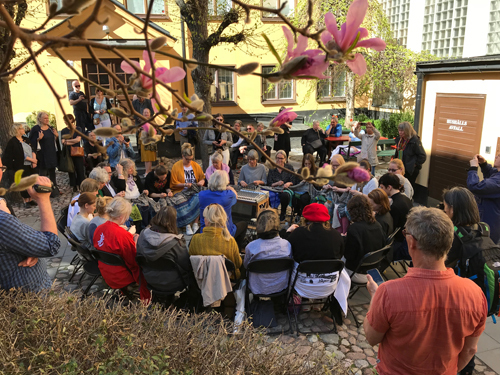 The performance was supported by Region Västernorrland and KC-Nord. 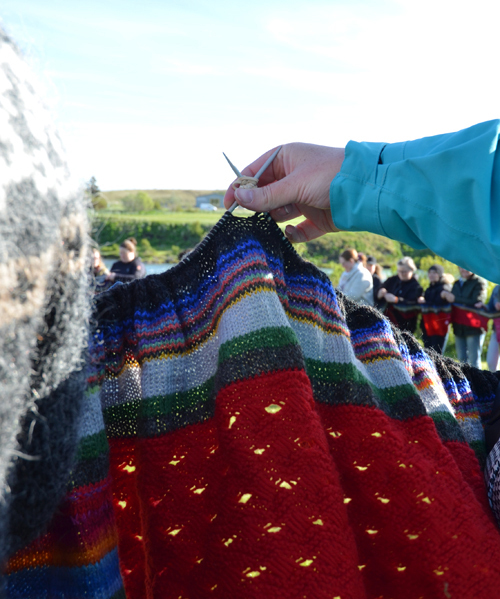 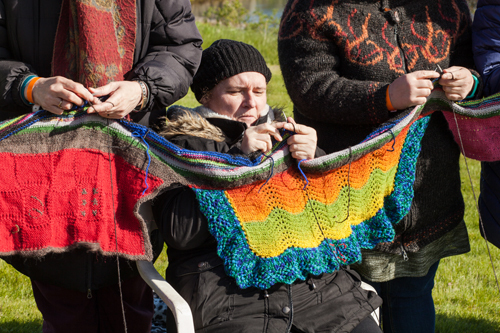 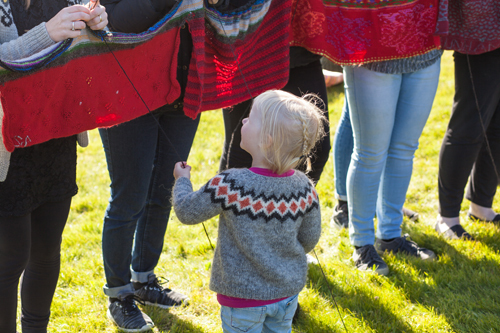 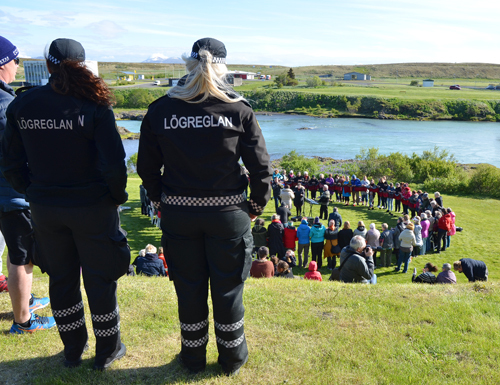 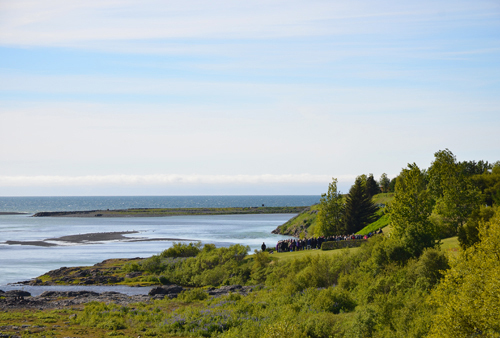 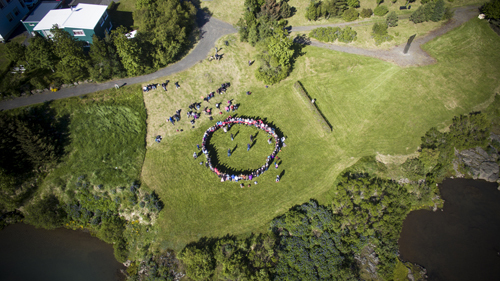 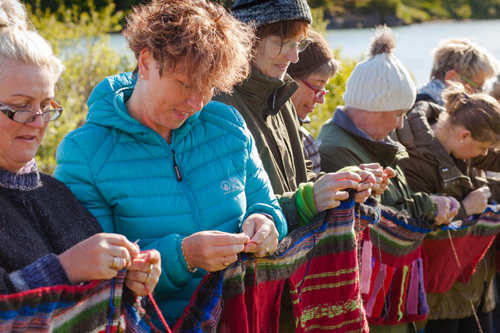 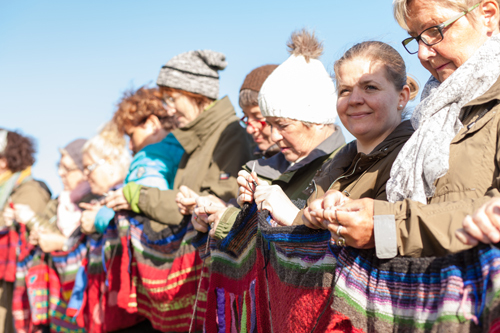 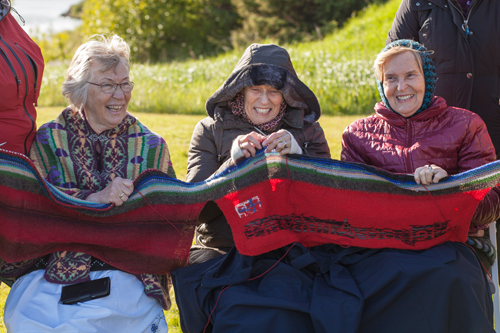 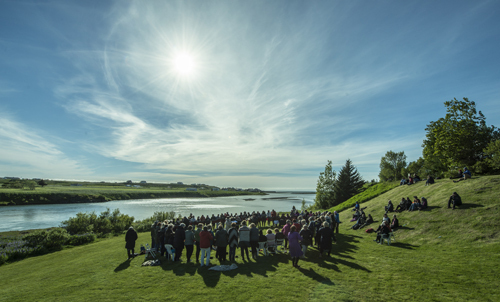 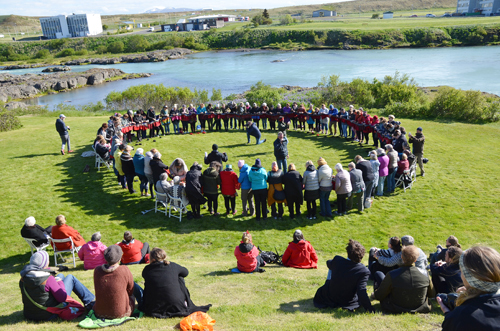 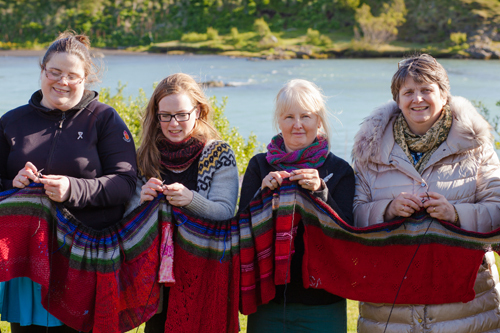 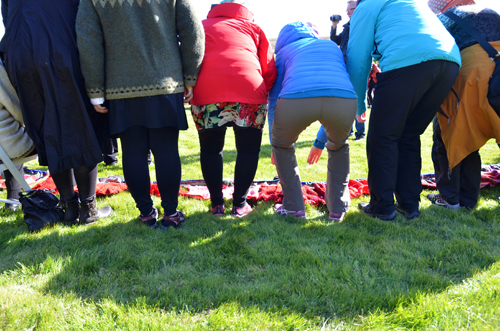 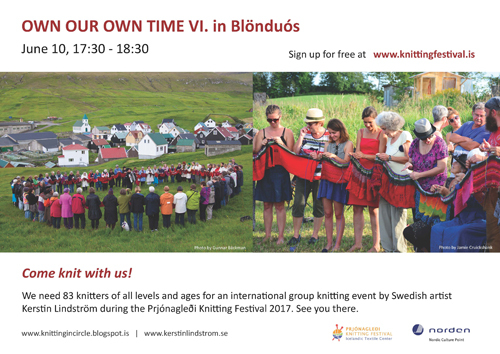 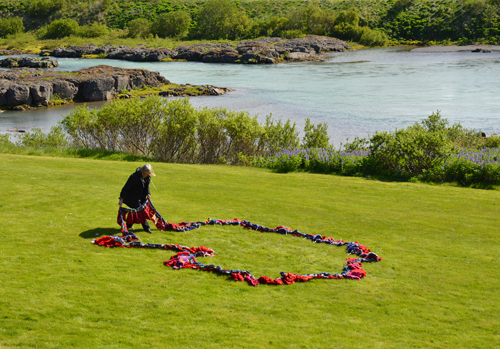 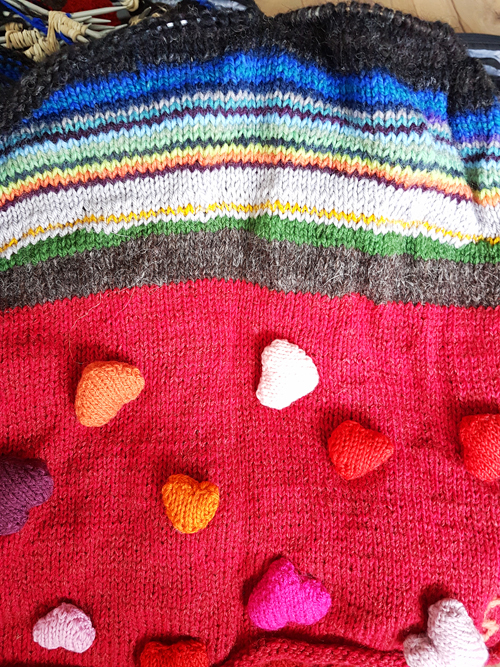 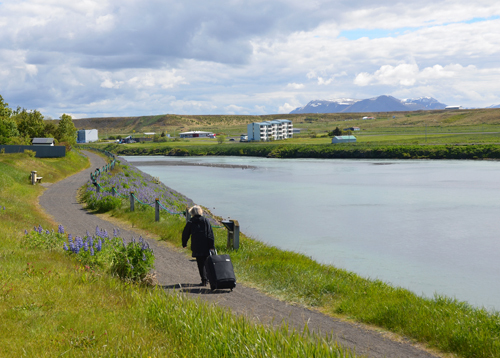 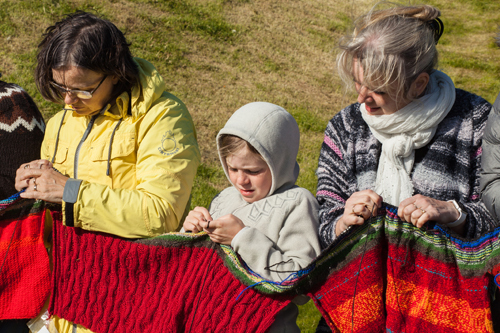 It is time to leave Blönduós and all the wonderful people who participated in the monumental knitting by the meadow next to the river Blanda 10th of June. 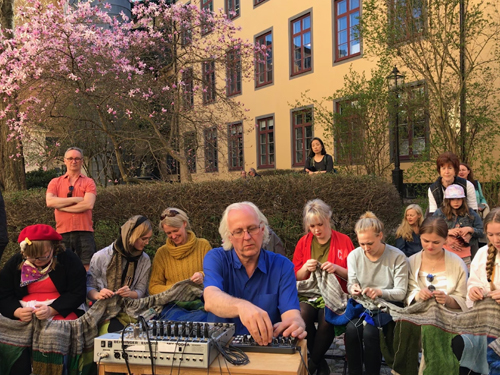 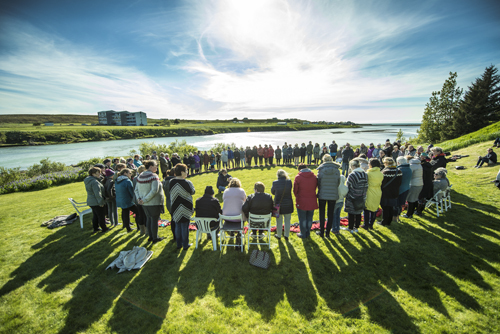 An unforgettable hour shared together in the sun and wind, listening to music by Skarphéðinn Einarsson and Benedikt Blöndal Lárusson. 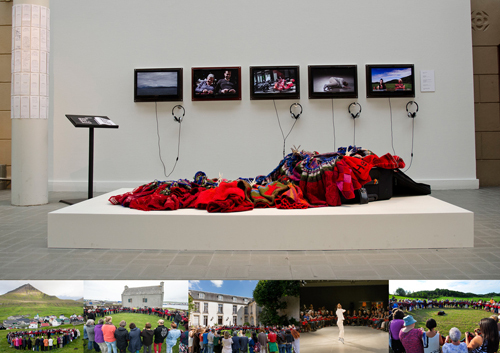 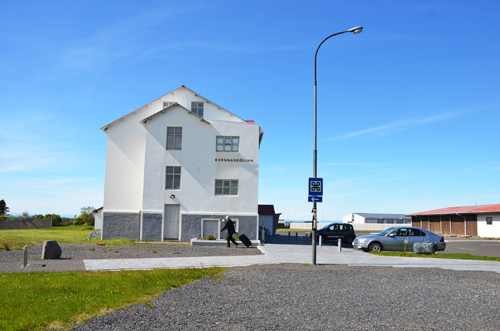 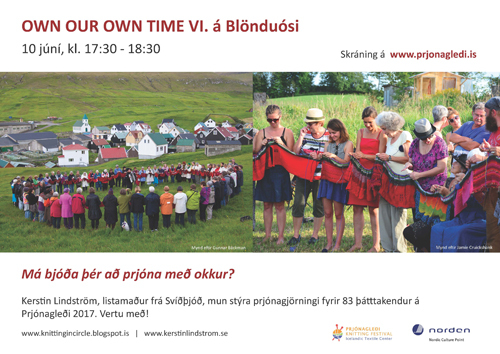 The performance Own our own time VI was set up in Blönduos in the north of Iceland June 10 2017, 17.30 – 18.30. 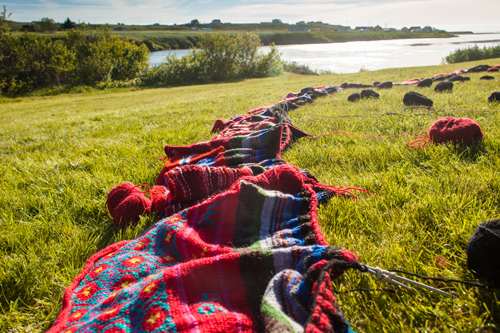 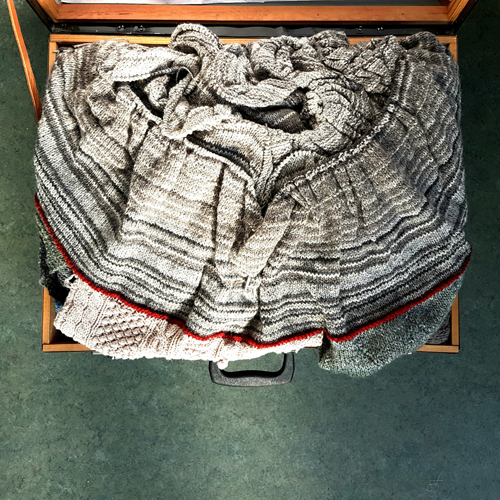 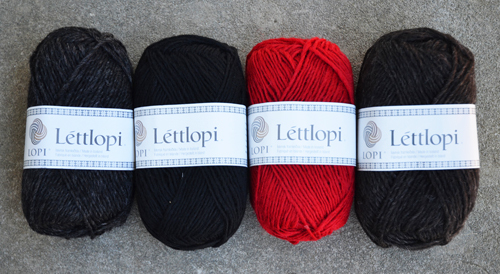 Three black colours and a few red stripes as the symbol of Iceland are preserved in the monumental knitting for 83 participants. 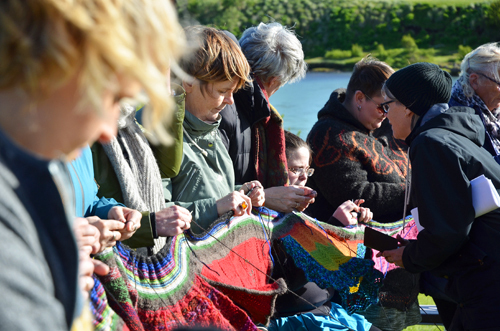 On the beautiful meadow, with the sun and wind, next to the river Blanda. 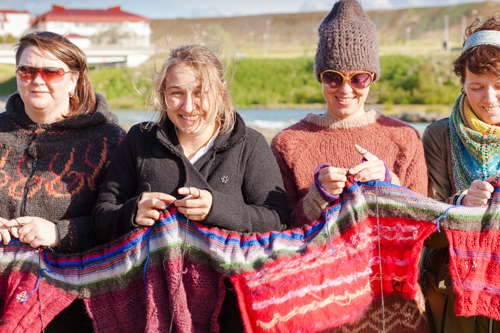 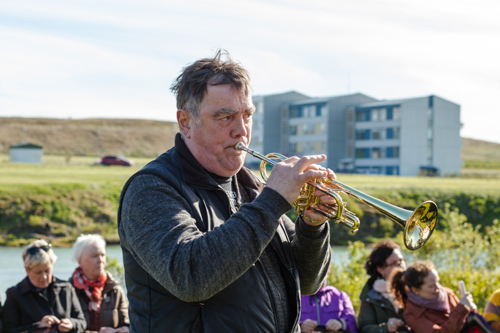 The women from Prjónagleði - Knitting Festival 2017 and Textilsetur, people from Blöndous, friends from Sweden, collegues from Reykjavik and Skagaströnd, Skarphéðinn on trumpet and Benedict on keyboard thank you so much for participating!